Hi Guys, today is Creamsicles day and I found great recipes for you to try. These are fun and would be perfect for today. 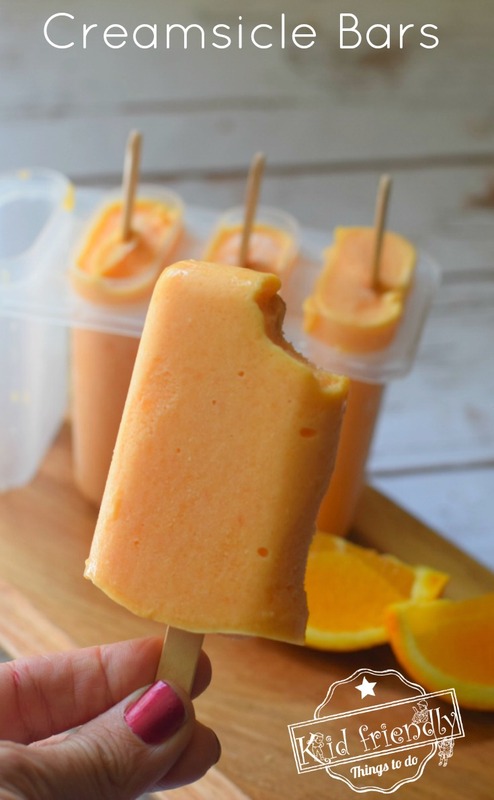 This first recipe is healthy creamsicles from My Kitchen Love.com. Her site link is below. This recipe is kid friendly and easy to make. The recipe is from Kidfriendlythingstodo.com. Her link is below. And this recipe is from Delish.com. I love watching their cooking videos they are do inspiring. Their link is below.